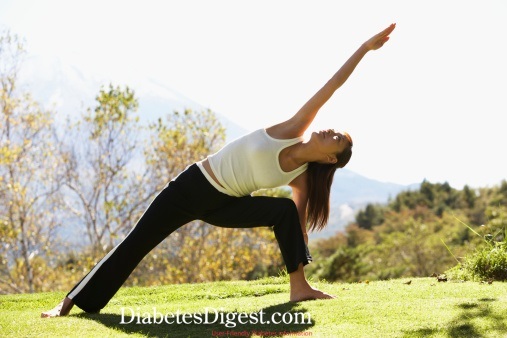 Natural Progression Of Type 2 Diabetes - Diabetic recipes, free diabetes magazine & more! Type 2 diabetes is not a stable disease—it is progressive in nature. In fact, by the time someone is diagnosed with type 2 diabetes, many changes may have already occurred in the body, including the start of heart disease. These changes continue over the years, potentially making the complications of diabetes more difficult to control. For this reason, you need to know what changes to expect when you have type 2 diabetes. This article will help you and your health care provider manage your diabetes every step of the way. Experts today believe that people who are diagnosed with type 2 diabetes have had blood glucose levels that were high enough to diagnose diabetes, on average, seven to 10 years earlier. That’s bad news because high blood glucose levels for so long can cause damage to the heart, kidneys, eyes and nerves. So in reality, people with “newly” diagnosed type 2 diabetes may already have diabetes-related problems. But what happens during this period leading up to a diagnosis of diabetes? Initially, the pancreas produces the correct amount of insulin the body needs to keep blood glucose levels where they ought to be. However, at some point, cells begin to resist this naturally occurring insulin. This is referred to as “insulin resistance,” meaning the cells have a hard time using the insulin the body produces. The pancreas, in turn, receives a message that even more insulin is needed, and it begins to produce more than before to overcome this resistance. At some point, the pancreas is not able to keep up and blood glucose levels begin to increase. This is what’s known as pre-diabetes. Pre-diabetes means that blood glucose levels are higher than normal, but not high enough to be classified as diabetes. It is in this stage that 10 to 20 pounds of weight loss and 30 minutes of activity five days a week have been shown to prevent and/or delay the onset of type 2 diabetes. These steps also can improve blood fats and lower blood pressure, which can help to reduce the risk of heart disease. It is in this phase that the pancreas starts to over-produce insulin at a rapid rate. The pancreas can not continue working overtime indefinitely and eventually begins to wear out. At this point, blood glucose levels rise high enough to be classified as diabetes. It is thought that by the time most people are diagnosed with diabetes, they already have lost 50 percent of their ability to make insulin in their pancreas. So, in addition to a healthy eating and physical activity plan, most people need to take one or two types of diabetes medications: one pill to increase the amount of insulin the pancreas makes and the other pill to decrease the body’s resistance to insulin. Because the ability of the pancreas can continue to decline, many people with type 2 diabetes may eventually need to take insulin to control their diabetes. As your type 2 diabetes progresses, you and your health care providers need to work together to keep your blood glucose levels in your target range. This means matching the right food, physical activity and diabetes medicine plan to your body’s dwindling supply of insulin. 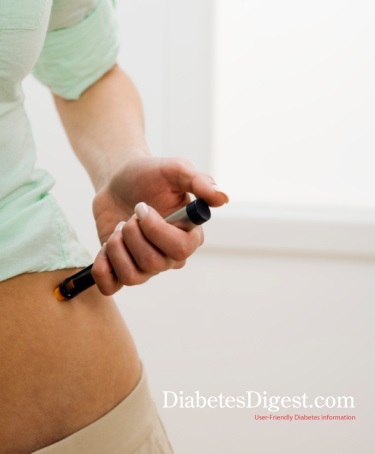 It is likely that you may need to take insulin to control your blood glucose levels. So, do not put off using insulin to control your blood glucose levels. When your health care providers suggest you need insulin, you should take the suggestion seriously. Living with type 2 diabetes, it also is critical to control abnormal blood fat and high blood pressure levels, as they often go hand in hand with rising blood glucose levels. Although following a healthy eating and physical activity plan can help your blood fat and blood pressure levels, most people need medication, as well. Make sure you and your health care providers match these medications to hit your target blood lipid and blood pressure goals. St-r-e-t-ch: Increase Flexibility To Lessen Injuries Diabetes at Work: Healthy Diabetes Control on Shift Jobs Pedometers: Counting Every Step Insulin: What’s New? Diabetes Complications Diabetes & Heart Health Go Hand in Hand Heart Healthy Food Choices Five Diabetes Questions To Ask Your Health Care Team When Your Loved One Has Diabetes Don’t be a Diabetes “Nudnik” The Benefits of Vaccines Eating Well with Diabetes… with Cherries!